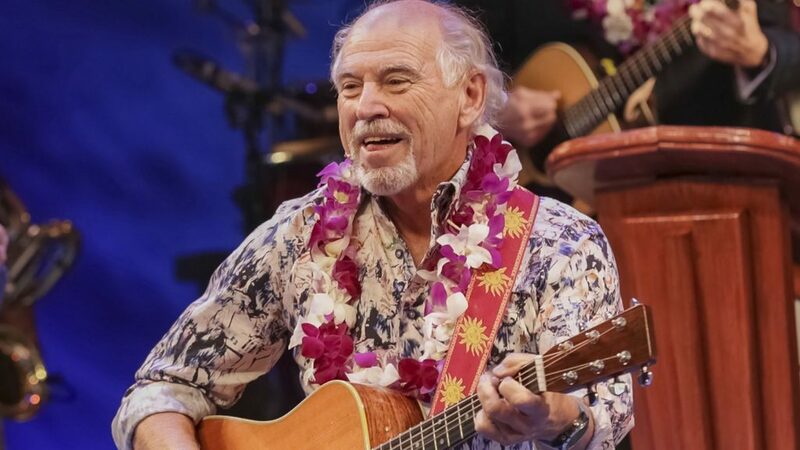 The Jimmy Buffett musical arrived at the Marquis Theatre in February. Escape to Margaritaville, featuring the songs of Jimmy Buffett, says farewell to paradise July 1 as the company takes their final bows at the Marquis Theatre. Following the 3 PM performance, the musical will have played 29 previews and 124 regular performances. A national tour will launch in October 2019 in Providence, Rhode Island. Featuring a book by Greg Garcia and Mike O’Malley, Escape to Margaritaville uses Buffett’s familiar catalog to tell the story of a relaxed island paradise and its inhabitants—including a carefree bartender and a visiting, career-minded scientist who challenges his worldview. The production, directed by Christopher Ashley and choreographed by Kelly Devine, premiered at La Jolla Playhouse before subsequently playing Houston, New Orleans, and Chicago. Shortly after closing on Broadway, the cast will travel to Washington,. D.C., to perform on PBS’ A Capitol Fourth July 4. Leading the cast is Paul Alexander Nolan as island bartender-singer Tully. He reprises his role from the pre-Broadway tour alongside fellow principal cast members Alison Luff as Rachel, Lisa Howard as Tammy, Eric Petersen as Brick, Rema Webb as Marley, Don Sparks as J.D., and Andre Ward as Jamal. Rounding out the company are Matt Allen, Tessa Alves, Sara Andreas, Tiffany Adeline Cole, Marjorie Failoni, Samantha Farrow, Steven Good, Angela Grovey, Albert Guerzon, Keely Hutton, Justin Keats, Mike Millan, Justin Mortelliti, Ryann Redmond, Jennifer Rias, Julius Anthony Rubio, Nick Sanchez, Ian Michael Stuart, and Brett Thiele. Escape to Margaritaville features sets by Walt Spangler, costumes by Paul Tazewell, lighting design by Howell Binkley, sound design by Brian Ronan, and orchestrations by Michael Utley.